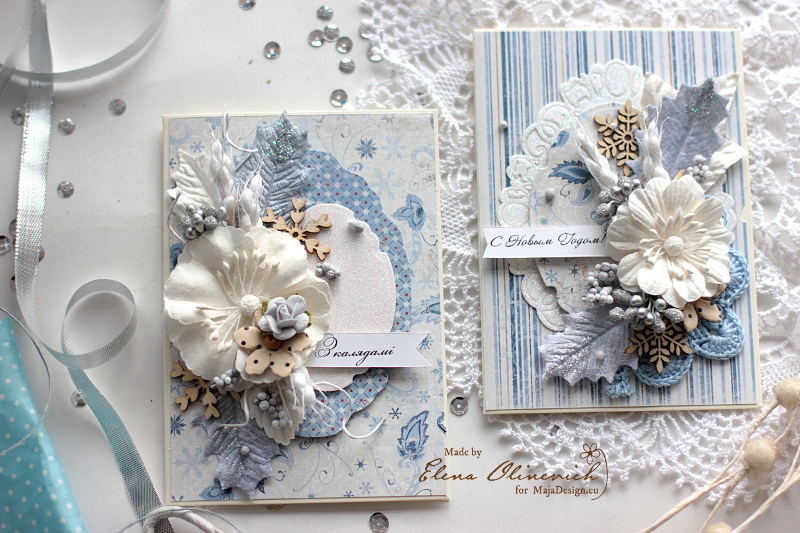 For my cards I used Vintage Winter collection , my number one among all of the beautiful Maja Christmas papers. 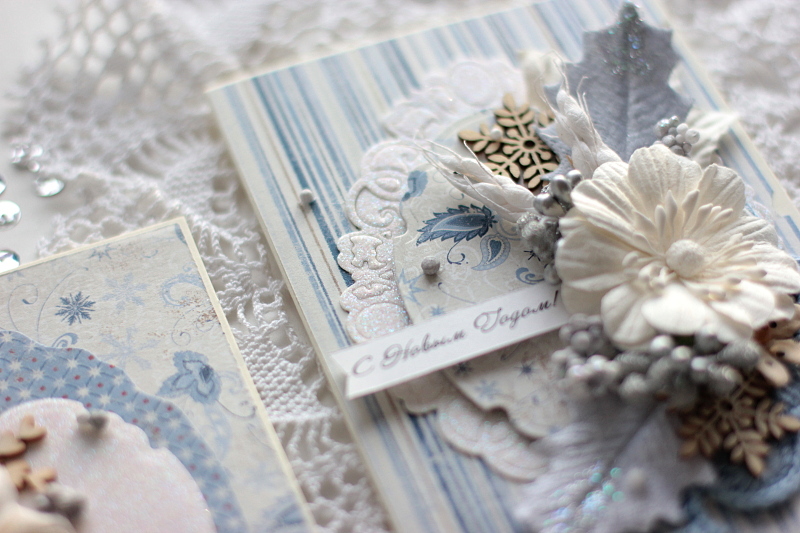 Each year I can not pass by and create a bunch of cards with mostly blue colors. 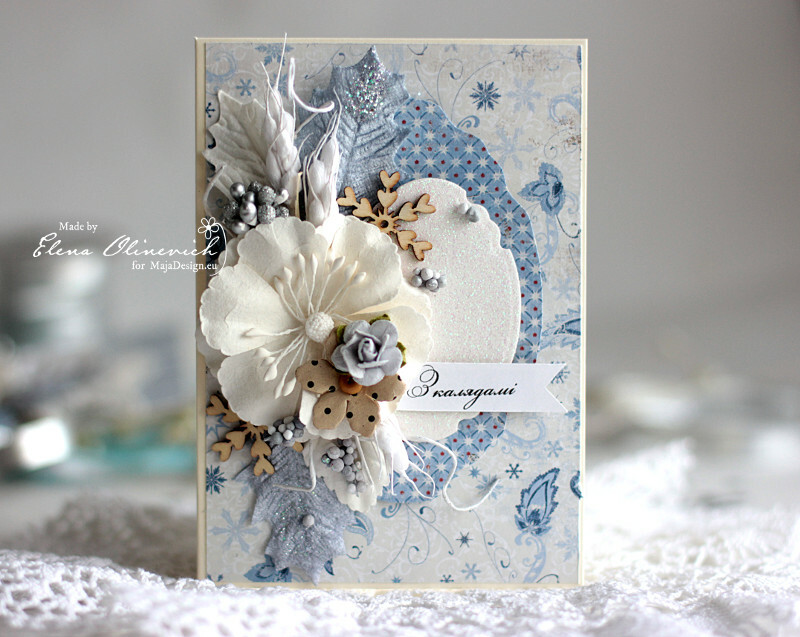 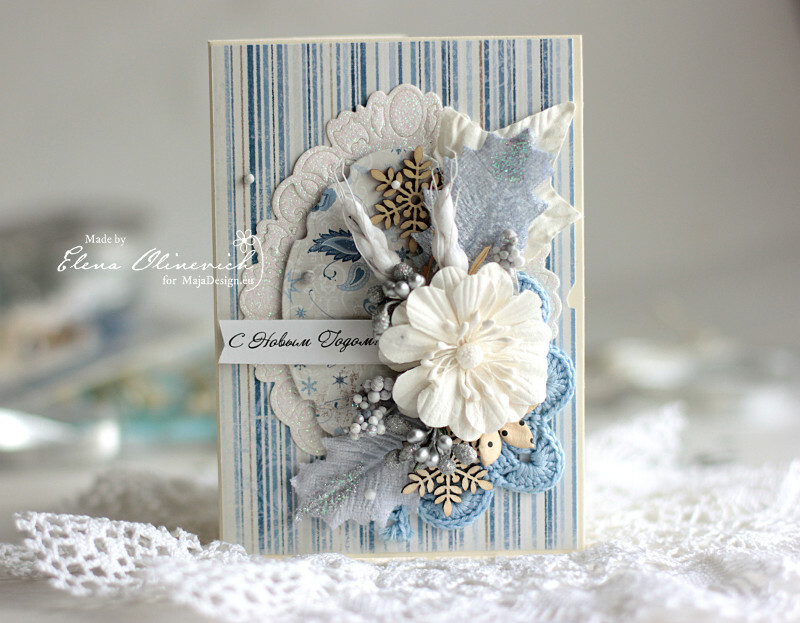 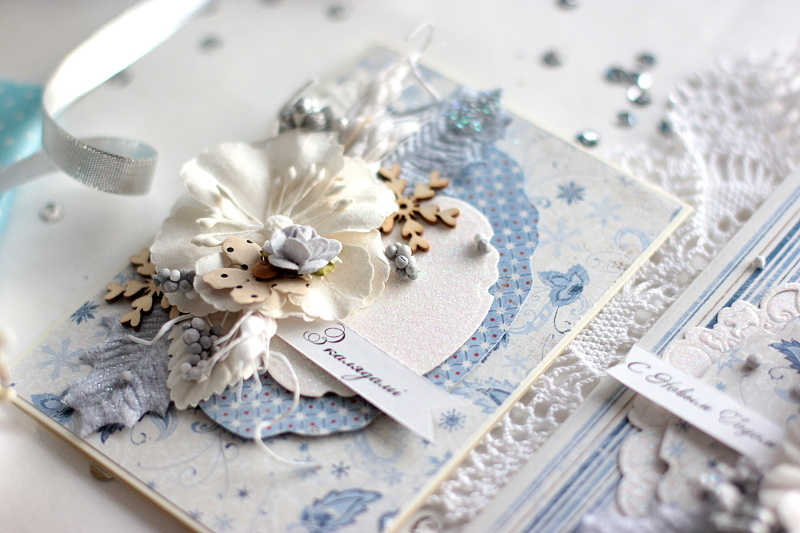 I’ve added the flowers on my cards, mostly white and silver grey, I guess they add the frosty feeling. 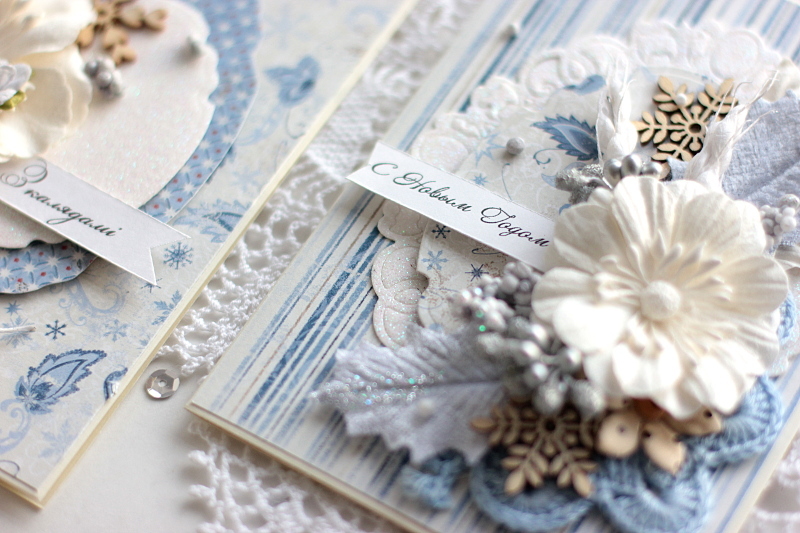 Hope you have liked my cards and enjoy this special time of the year.